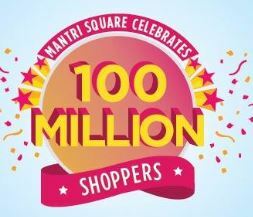 Be our 100 millionth shopper and win Rs.2 Lakhs of shopping. It's the Jacket Season ! 2 basements with 1500 parking. Its Puzzle and stack parking.